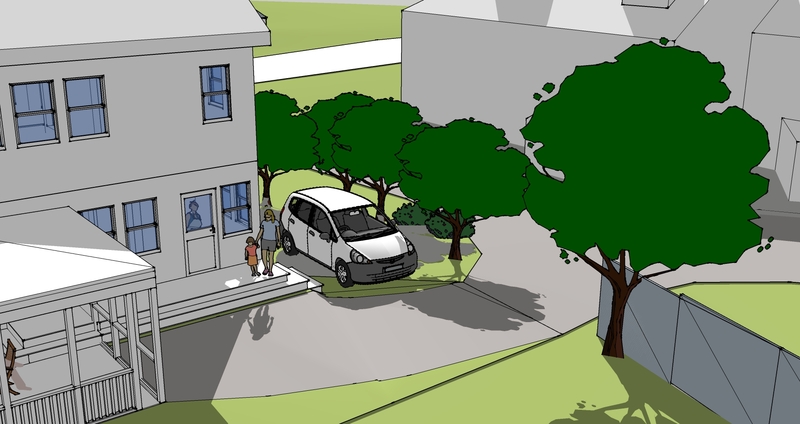 We’re looking at alternatives to the initial driveway design and extra car parking spot idea. 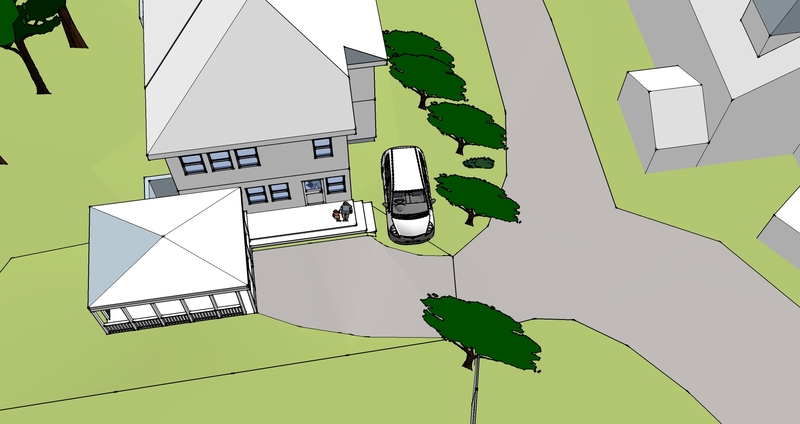 Warm weather parking spot has a vegetative screen and fits into the notch in the corner of the house. Shubs and small trees screen the corner parking spot from our neighbors' view.